Kids are still in school, but the days are getting longer and snow lines on the mountains are getting higher! 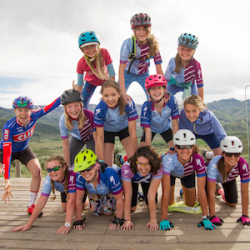 After sitting all-day in a classroom, Little Bellas Park City Spring program is the perfect solution for burning some energy in a fun, confidence building way! 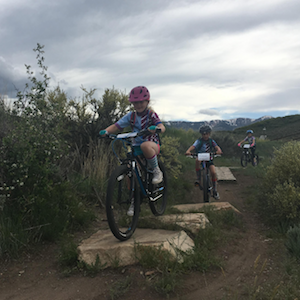 The Park City Mountain Bike Program offers five recurring, Wednesday night sessions at Trailside Skills Park throughout the spring. Trailside Skills Park is the perfect setting for learning new skills. 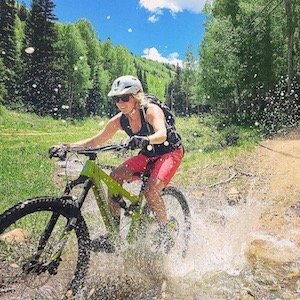 Not only do they have a one-mile, well-groomed, single track trail, they have a top-notch skills course! Start with the balance beam, then the ramp. 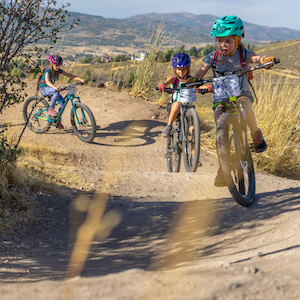 Take your choice of berm corners or the gnarly stairway. 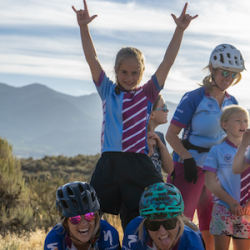 Whatever the level or ability of rider, the program is based around having fun and creates an environment to allow each girl to make new friends, ride trails, and play games, all while learning skills for the sport of mountain biking. Registration opens February 1st at 9 am! This program fills up fast so don't delay!